The design of the form is simple, the content is concise, and there isn’t too much foiling required. Of course, any reader would get bored if the form is too long, so that’s why this piece is a 2-page form. Moreover, the content is accurate and relevant. What’s more is the form is more about the author, not the party interested in the author’s content. You can republish an already completed presentation, or use it as you wish, as long as the owner agrees that you do so. 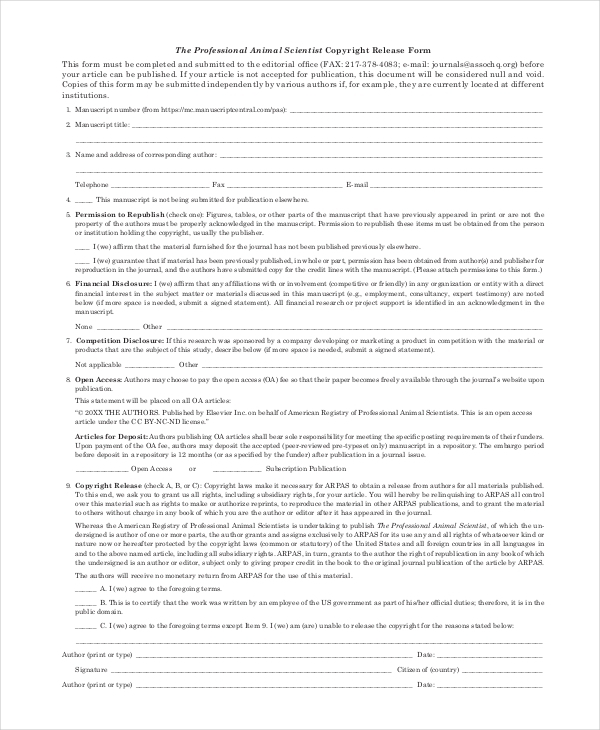 This form can help you seek the consent of the author, and once they concede to you request, depending on the copyright agreements, you may feel free to reuse the recoding. If you would like to republish the written work whose author isn’t you, you will need to seek for the permission of the real author, and have them fill this form as a legal proof of the agreement to publish the work. Feel free to edit the printable copyright form template if need be, but keep content relevant to the subject. 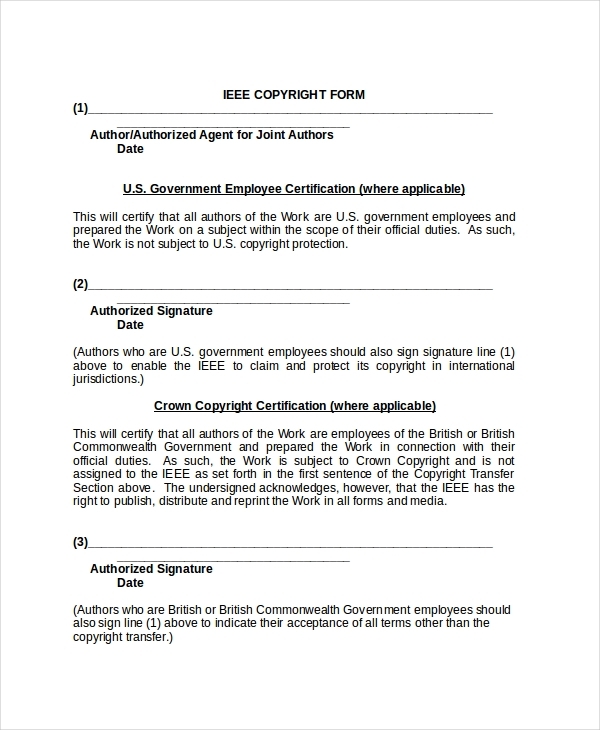 A Printable Copyright Release Form for Written would be written by you after you have completed your project and ready to release. The form legally makes the claim that you are the original author of the content, that you are the only one who can issue the warrant to republish the content written by you. A Copyright Form, regardless of the kind, is a legal document that protects someone, his content, and the right to own his content. Even the no-so-good literature work almost always have copyright rights. You cannot interfere with ownership laws, no matter how simple and straightforward or complex the laws maybe. If you must re-publish or reuse work belonging to someone else, you must write him an acknowledgment note to let him know about your intention to use his work. The author of the work will agree or disagree depending on their reasons. If they agree, they will fill a copyright release form to allow you to use the content as you wish. If they disagree, the deal ends. 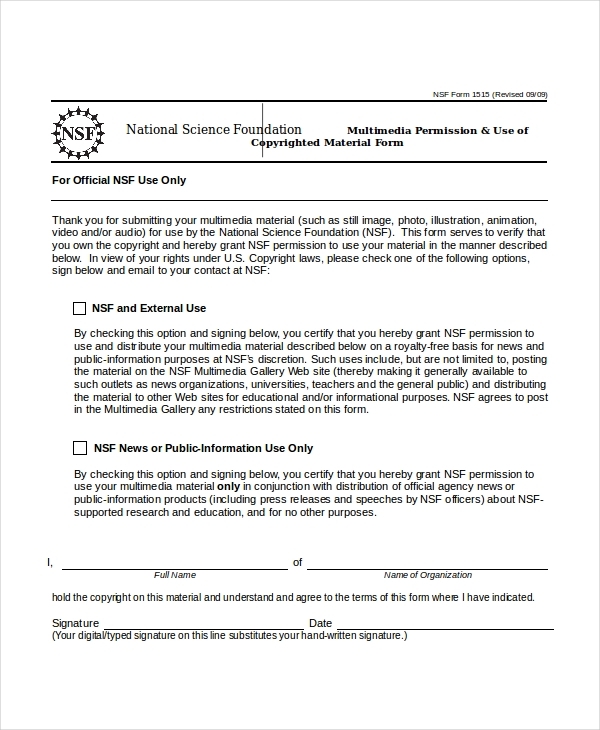 Never issue or fill this form if you are not sure what you are getting yourself into, to say the least. Please conduct some background check to make sure that the plea to republish completed work is genuine.